Never driven in the UK? 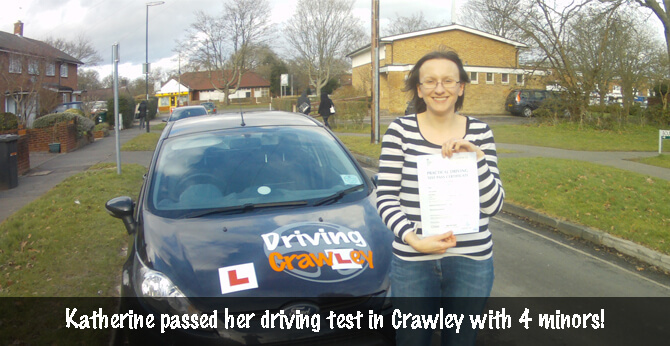 Driving Crawley can help you! 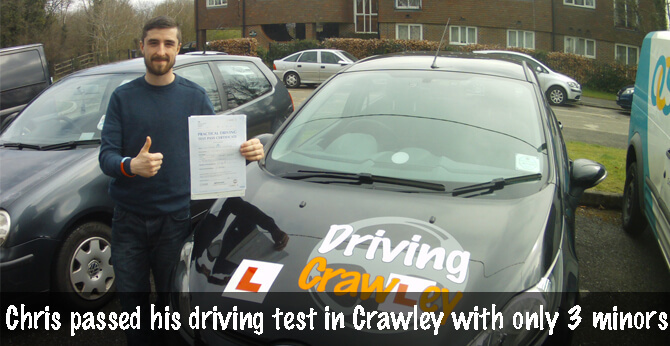 What can Driving Crawley offer you? - Complimentary theory test support, great for those who are finding it difficult to pass the theory test. - Driving can be recorded using top of the range HD cameras and watched back in car using my iPad to learn from your mistakes, and to watch back anything that went really well! - Videos to show you the tricker areas of Crawley and how to successfully deal with them, visit my YouTube channel to watch! - I have passed four advanced driving tests (IAM Masters, DIAmond Advanced, ROSPA Gold and Cardington Special) so have a very good knowledge of both the theory and practical aspects of driving and can demonstrate this to the highest standard, this can then be passed onto you! - I regularly do CPD (continued professional development) to further improve my skills as a driving instructor, this means better quality lessons for you! Notable CPD over the last few years includes DIAmond Certificate in Coaching for Driver Education, skid pan training and attended various training days. If any one is considering using Laurence from Driving Crawley then all I can say is you will be making the best decision. I was outstandingly surprised with the knowledge and advice he has to give and more importantly he constructs the lessons to suit you. Not only does Laurence get you to test standard he uses all of his knowledge and experience to assist you with becoming a safe and confident driver, and believe you me someone who posses such qualifications in driving tells you he is no idiot and using him to help you obtain your licence will be the best decision you will make. Also Laurence is extremely flexible and fully understanding when booking lessons to suit you around work and home life etc. always on time and in general he is a really polite, caring, understanding person who always puts you and your needs first. I would highly recommend him 100% as you will not be disappointed and you will certainly be on your way to success. I started my lessons with Laurence after a 5 year gap and two failed tests and not a lot of confidence, but I instantly knew that my lessons with Laurence would lead to a pass. He is a patient instructor who tailors every lesson to your specific requirements, with the aim of teaching you how to drive in a way which works for you, and not just how to pass your test. I passed the first test I took with Laurence and was confident I would do so thanks to his style of teaching, I can not recommend him enough, thanks again! 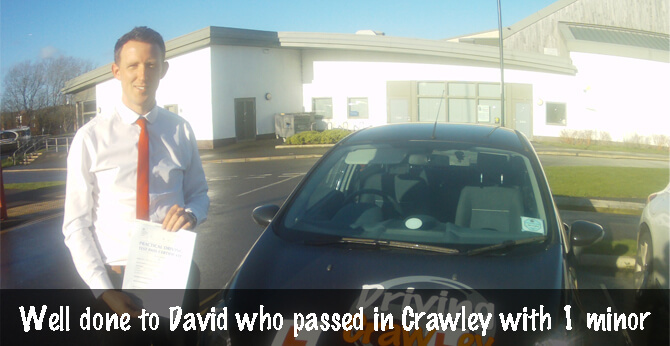 David passed with 1 minor! I started learning with Laurence after an 8 year gap in my driving. My previous experience of driving instructors had left me demotivated and low in confidence. After just one or two lessons with Laurence I realised I'd finally found an instructor that understands how to teach. He listens to what works for you and tailors the lessons to your learning style. In all the time learning with Laurence I never felt pressured due to the open dialogue that takes place. When approaching my test date Laurence challenged me to the extent where I felt the test would be a piece of cake ;) I passed with just one minor. Thank you Laurence. getting hold of that pass certificate!